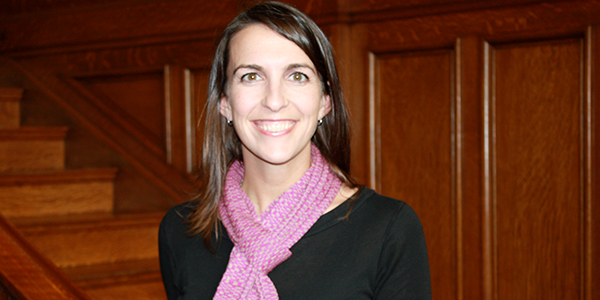 Shannon Cadile '89 is a well-known name in the Hamlin community. Alumnae Board president from 2009 to 2012 and Alumna of the Year in 2012, Ms. Cadile has given significant amounts of her time and energy to ensuring that The Hamlin School's legacy endures for future generations of Hamlin girls. But what may be less well known is that Ms. Cadile has made a lasting and enduring commitment to Hamlin by making provisions for Hamlin in her estate plans, something she said was far simpler than she imagined. "This was really not hard," she said. "It wasn't like a stressful, morbid process, and it didn't require a visit to some fancy, expensive lawyer." Ms. Cadile's parents had always encouraged her to think about estate planning early, so she made the decision when she was in her late 20s. "I learned that it's just never too soon to put these things down on paper," she said. "You just have to think about what you care about, things that have been important to you as you've grown." That bit of soul-searching led her to include Hamlin in her will, even though she felt that she "didn't have any money to give! I did it percentage-wise, which made it much easier to wrap my head around it." In other words, many donors elect to give a specific percentage of their estate now, rather than a dollar amount. "For the cash-constrained, this is a great option, and allows for gift stewardship on the front-end, even though it won't be felt on the front-end."